Your brain is the driving force behind every thought, memory, emotion and behaviour that you have had or ever will have – wouldn’t it be useful to know how to work with it, rather than against it? 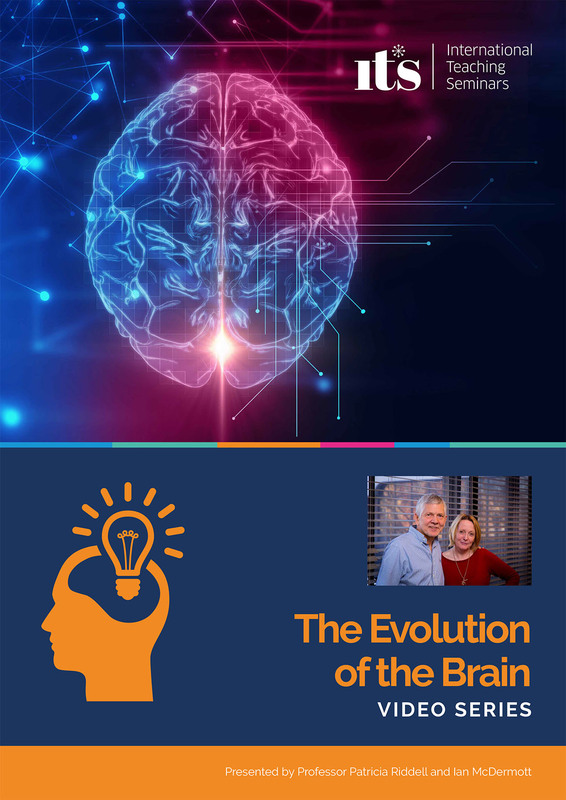 This video series will introduce you to basic information about the brain that is needed in order to begin to understand how this remarkable organ works. With this knowledge, it will become easier to learn why people behave in particular ways at home and at work. Patricia is a Professor of Applied Neuroscience with a unique combination of skills that allow her to bring the expanding knowledge that we have about the brain and how it drives behaviour, to individuals and organisations. Ian is the Founder of ITS and has dedicated his life to giving people the tools to deal with the challenges they face and the necessary skills to create their own solutions. He does this both personally and professionally with individuals, with teams and with organisations. This video comes with a FREE PDF booklet which covers the content in the videos. An introduction to the video series and how it can be useful. Who the experts are presenting this material. How the brain has developed to survive and thrive in evolutionary terms. Providing basic neuroscienctific terminology for conversations. A way of thinking which is “to understand the brain, look at what it is trying to achieve”. How changing activity within the system affects behaviour. The form, function &amp; role of the neuron. Understanding what your neurotransmitters can do for you. Chemical signalling in the brain. The neuroscience of modulating behaviour. Understanding of how your brain changes to work best for you. The mechanisms in the brain that allow it to develop &amp; learn. The impact of age on the brain. This video series is provided free of charge when you book on the 10 day Applied Neuroscience Programme.